Having spent over 50 years in the music business, Labelle is more than just the singer behind the Sixties monster disco hit Lady Marmalade; the Godmother of Soul still can put her younger contempories in the shade. 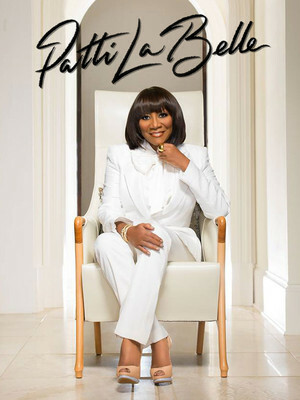 At 71 years old, LaBelle demonstrates an enviable work ethic and continues to tour regularly, rather than sitting back and relaxing in her twilight years. On screen she has enjoyed a new turn as an actress, appearing in shows such as Empire, Dancing with the Stars and American Horror Story: Freak Show. 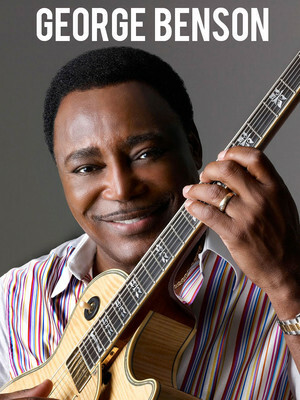 George Benson is quite simply a legend of modern jazz music. A tremendously skilled guitarist and vocalist, his ease with any genre he turns his hand to has meant huge crossover success; in 1976 Benson was the first musician to achieve a platinum-selling jazz album and went on to win an astounding 10 Grammy Awards. From bebop to pop, this musical great can do it all and with a charming smile to boot. About Rochester Theater: We are an independent show guide not a venue or show. We sell primary, discount and resale tickets which may be priced above or below face value. Please note: The term Eastman Theatre as well as all associated graphics, logos, and/or other trademarks, tradenames or copyrights are the property of the Eastman Theatre and are used herein for factual descriptive purposes only. We are in no way associated with or authorized by the Eastman Theatre and neither that entity nor any of its affiliates have licensed or endorsed us to sell tickets, goods and or services in conjunction with their events.